When using Desktop and Application Virtualisation, you do not need local hard discs or fast processors in your clients. You can avoid having moving parts which generate noise, heat and are unreliable. 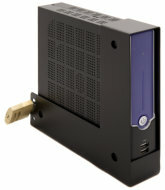 Thin-clients are small, quiet and extremely robust. They can be completely remotely managed meaning that there is no client configuration at all. They can be simply plug and play. After a period of distributing other makes of thin-clients, we decided to bring product support and development back in-house and in September 2005 we launched our next-generation thin-client - ThinIT TCX. A mobile version - ThinIT TCM - was launched in January 2006. A tiny 7" subnotebook version - ThinIT TCMu - was launched in January 2008 and an updated 9" version in January 2009. In July 2009, the ThinIT TCM ThinPad was released, superceding all previous mobile models including the TCMu. In January 2010, the AtomIQ was released offering even higher performance. In May 2012, the 64-bit AtomIQx2 was launched which offered double the CPU cores, double the RAM, double the video outputs and double the network ports compared to the original AtomIQ. The AtomIQx2 is optimised for use with Citrix Provisioning Services (rather than ThinIT) as it includes a 16GB NTFS-formatted SSD as a high-performance local writecache. In August 2014, the AtomIQx1 was launched to partner the AtomIQx2. At a new low price, it offers the same superlative processing power and memory, but has a single video output. At the same time, a refreshed AtomIQx2 was launched with more memory and faster storage. The next-generation AtomIQx3 was released in August 2018 with 8GB RAM, 32GB SSD and superb dual-display graphics as well as updated high-definition audio and USB 3. ThinIT TCX, AtomIQ and TCM ThinPad clients offer high-performance at low cost with unrivalled reliability and ease of management. With no moving parts, they are silent and cool in operation. 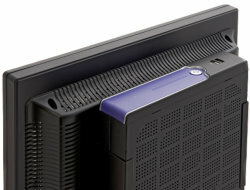 They can be security-locked using the integrated Kensington security slot (extra cable required). We also offer a custom-made colour-matched security cage which will allow desktop or wall mounting. The ThinIT TCX and AtomIQ models are tiny clients in a tower case. They are significantly smaller in size than a standard PC. They connect to a standard keyboard, mouse and monitor. The ThinIT TCM ThinPad is a small form-factor mobile thin-client laptop. 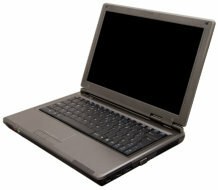 It has standard laptop features, such as high-resolution widescreen TFT screen, in-built keyboard and trackpad. It also includes wired and wireless networking. As their names imply, the new ThinIT clients runs our successful ThinIT software. 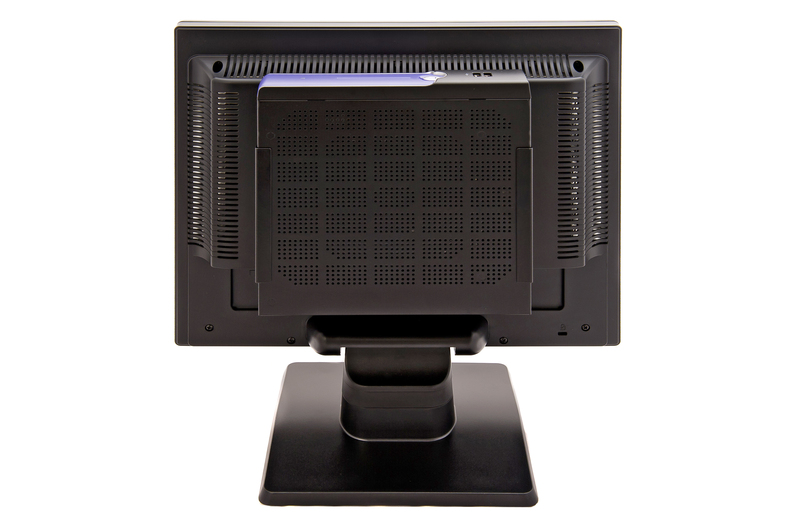 Many other thin-client manufacturers buy in system software for their thin-clients (e.g. Windows embedded or pre-configured Linux). This means that they have little control over the software and hence can only offer limited support and features. By using ThinIT on our clients (which is developed in-house) we can offer ground-breaking new features and fantastic support (as we do for our other products such as NetManager). It also means that all the management tools used to manage an existing ThinIT installation can be used to manage the new clients. In the unlikely event that a client is faulty, it can be swapped immediately with no data loss. TCX and ThinPad TCM clients support USB digital cameras and pen-drives without having to install drivers. All models support external floppy drives. External USB CD-ROM and DVD-ROM drives are also supported. TCX and ThinPad TCM clients will also support: full-screen video streaming (and video-on-demand), USB imaging (webcams, microscopes), interactive whiteboards, Voice-over-IP (VoIP), etc. These ground-breaking multimedia features set the TCX and TCM ThinPad apart from other thin-clients on the market. Please see the ThinIT specifications for full details of supported protocols and features available. On entering a valid username and password as a full blown Citrix user with access to all of the applications and the full range of plotters and printers. I've also been able to point out that the machines use much less power and generate much less heat."